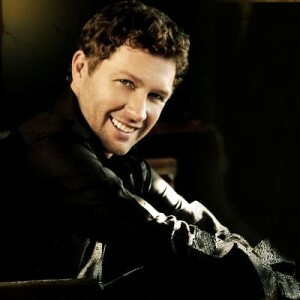 Craig Morgan has never been shy about his country roots. Craig’s songs are full of images, references, and metaphors from down home country kind of living. The twang in Morgan’s voice is also 100% country and the best part is Craig doesn’t seem to be bashful about any of it. Craig is set to release a new single from an upcoming album. The track is Still A Little Chicken Left On That Bone . It’s an old country folk phrase meaning a few different things. There is of course the literal meaning that your mom or dad would tell you when you’re a kid trying to push your dinner plate away. I can also remember butchering a whitetail with my Dad and him telling me there was still a little meat left on that bone. Craig uses the phrase to describe a guy or gal getting up there in age wanting to still prove that they has a little left to give before he goes out to pasture. The second phrase is about a classic GTO that looks a little rough on the outside, but with a little fixing up there is no doubt the muscle car can still rev with the best of ’em. The basic heart of the song is that you don’t have to worry about things getting close to the end of their line. Use every last drop of what it has to give before tossing it aside. It’s an interesting song for Craig to come out with at this point in his career. Craig is 46 years old and while that certainly isn’t old by most standards it’s getting up there for most of the successful runs country music stars seem to have. Even though country music is a little more forgiving with age there still seems to be some fall off for artists after most peak in their 20s or 30s. It’s good to see Craig still going strong into his mid-40s. He’s even taking on the issue straight with the new single. It sounds like another solid hit for Morgan. It might not make it to the top, but I think it could make top 15.